Client: MTV DESIGNERAMA, Berlin – Germany. Task: wall painting, live painting, concept development, illustration. Art direction: 44flavours and LUTZ LINDEMANN. 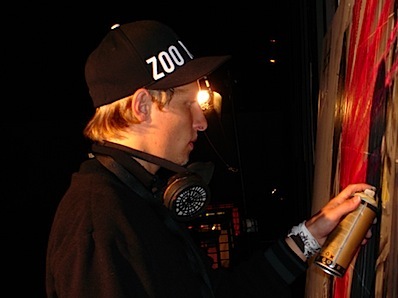 These are some snapshopts of a live painting session for MTV DESIGNERAMA 2005. Technique: marker, spray-paint, collage.